A dream start for SJR’s new production facilities. Rotterdam, 6 July 2016 – SJR has received a contract to construct seven new storage tanks for the expansion of the Botlek Tank Terminal (BTT). The Dutch tank constructor will build the tanks in its newly completed production facilities on the RDM site in Rotterdam. Construction of the tanks will start mid-July 2016 with a guaranteed completion time of 35 weeks. The acquisition of these tanks are part of the doubling of BTT’s capacity from 200,000 m3 to 467,000 m3. SJR’s new production hall is fully equipped for full service off-site construction of storage tanks. All work – including fabrication, coating and fire protection installation – is carried out under controlled conditions. Tanks constructed inside a production hall are of superior quality because fabrication, welding, insulation and coating operations are all carried out under optimum conditions. floating aluminium roofs to prevent emissions escaping from the stored product. For both SJR and BTT, safety and environmental issues are of paramount importance. The new tanks will be built in accordance with NEN-EN 14015:2005 standards. At SJR, a dynamic company with over 50 years history, we are always on the move. In recent years we have developed into an all-round tank builder for numerous sectors including the petrochemical and horticultural industries. Our core business is to develop, produce, isolate and maintain storage tanks. 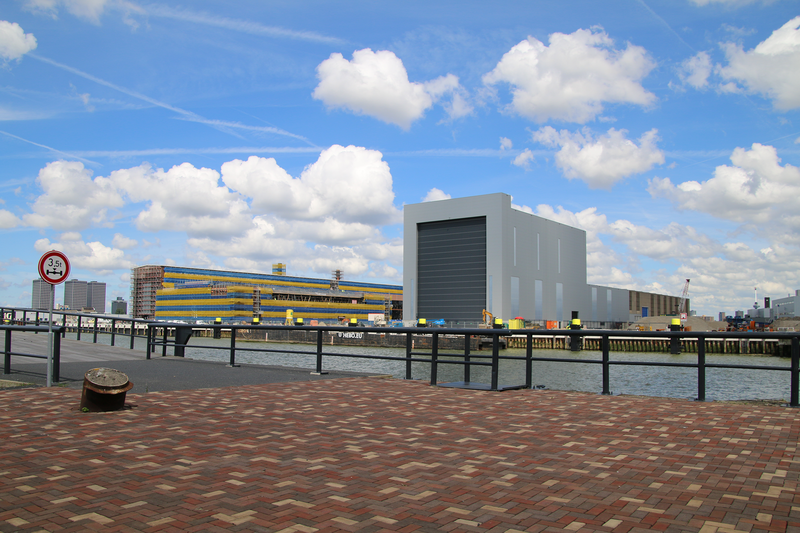 We do this on-site at our clients’ premises and also at our state-of-the-art production location at the RDM site in Rotterdam. The Botlek Tank Terminal (BTT) currently operates 34 storage tanks from its central location in the Port of Rotterdam. The company’s total storage capacity of 200,000m3 can be divided into 130,000 m3 for clean petroleum products and 70,000 m3 suitable for biodiesel and vegetable oils. BTT’s state-of-the-art infrastructure has ample deep water berths and facilities which allow for the storage and transhipment of a wide range of liquid bulk products. The 420-meter long sea jetty is capable of simultaneously handling two seagoing vessels of up to 115,000 DWT and two river barges.